Marketing automation via SharpSpring helps your business target customers with personalised content based on their unique preferences. This gives you the ability to increase leads and drive more sales, whilst providing you with the one thing that business owners have always longed for… trackable and proven ROI! As a Sharpspring Partner and with over 20 years experience in the Digital Marketing sector, we are in a great position to advise on how this powerful software can dramatically improve your marketing. 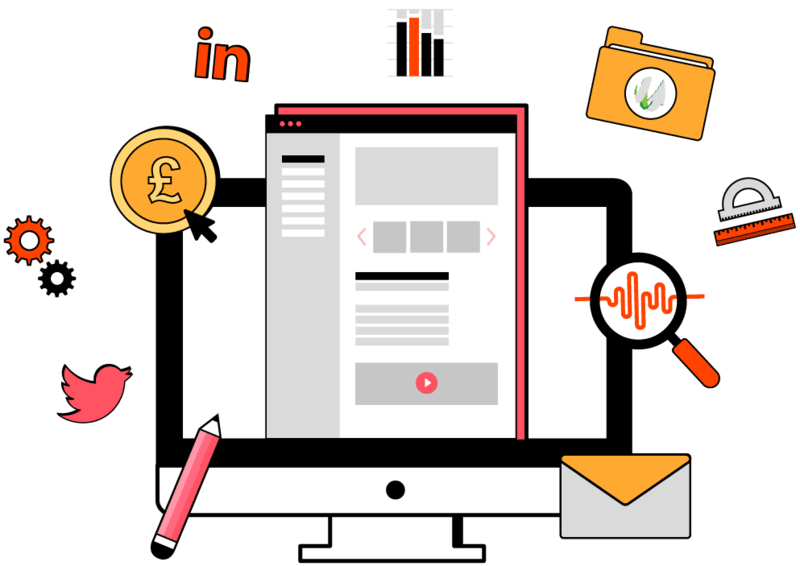 SharpSpring can revolutionise your lead generation efforts, sales, customer loyalty, brand exposure and conversion rates…. all in one place! 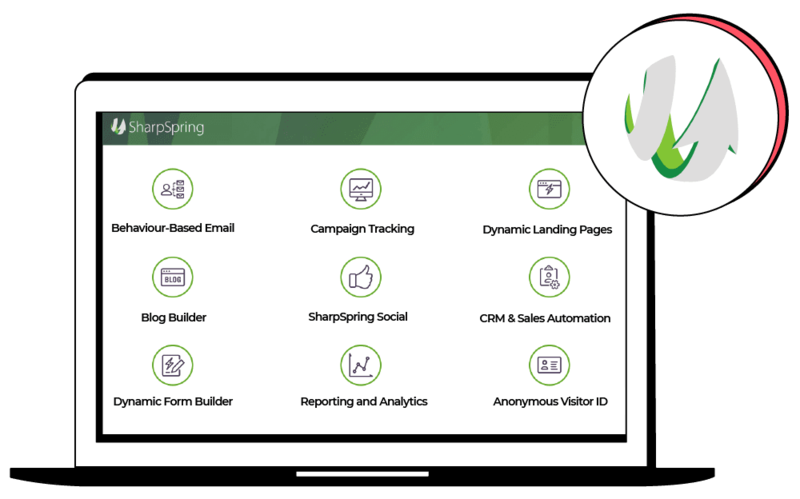 Register for your free 30 day SharpSpring trial to kick start your Digital Marketing Automation. Sharpspring is designed to work alongside a solid Digital Marketing Strategy, so you can track the ROI for your campaigns and ensure that you maximise your marketing budgets. The Software will also help you to identify anonymous website visitors, track lead behaviour/activity, deliver behaviour-based content to nurture leads, and collect real-time analytics. Sharpspring is a full-featured automation platform that is extremely powerful but simple to use. It’s a very effective, robust tool with a clear and user-friendly interface. SharpSpring can work alongside the systems that you currently have in place and even replace many of these in order to reduce your general system spends and technical overhead. The system delivers key marketing content at exactly the right time and it equips you with the insight that you need to quantify ROI and streamline your marketing activities to what is actually working. By focusing your marketing and sales efforts on the target audiences that are most likely to buy from you, you’ll save your business time, effort, resources, and money; whilst simultaneously achieving higher conversion rates. Once your automated platform is set up, you’ll have access to valuable lead data and be in a position to join up your Marketing and Sales strategy; helping you gain new business and repeat business faster than ever before. Give us a call and we can set up a short demonstration. You will be impressed! Want to know more about Marketing Automation with SharpSpring? Call Paul on 01789 491 610 to discuss your SharpSpring Marketing needs.